One of the two Charlie Hebdo suspects, Cherif Kouachi, was reportedly mentored by Al-Qaeda lynchpin Djamel Beghal, who has lived in the UK and had close ties to Finsbury Park Mosque. He has spun his web of terror cells since 9/11. Beghal, 49, an Algerian-French national, settled in France and married a French citizen in 1990 with whom he has four children. In 1997, he moved his family to Leicester in the UK. While living in the UK, Beghal was described as “a constant presence” at Finsbury Park Mosque for two years in the late 1990s, at the same time Abu Hamza led the mosque. He is said to have been close to Abu Qatada, the Jordanian “spiritual leader” of Al-Qaeda’s European operations in the 1990s. 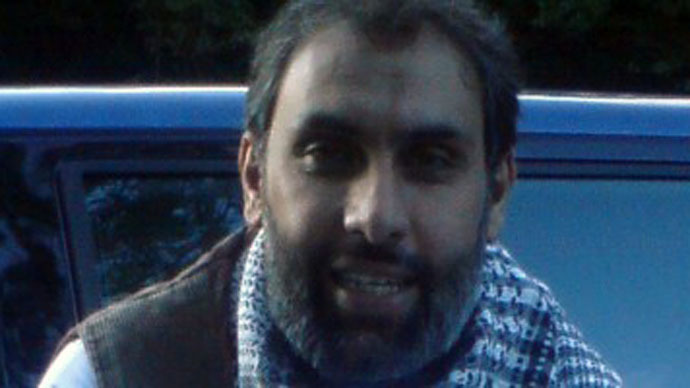 Reda Hassaine is a former MI5 informant who worked undercover at Finsbury Park Mosque in the late 1990s and early 2000s. “There is no doubt that you can see the influence of their teachings in him,” he told the Telegraph. Beghal came to admire Abu Hamza at Finsbury Park Mosque. Using the North London mosque as a recruiting ground, he allegedly recruited the would-be shoe bomber Richard Reid and Zacarias Moussaoui, the so-called 'twentieth hijacker' in the 9/11 attacks. Radical Muslim cleric Hamza, who has lost both hands and one eye, was sentenced to life in prison by a court in New York for supporting terrorism last Friday. He was convicted in May 2014 of multiple charges, including hostage-taking and plotting to set up a terrorism training camp in the US. Qatada was deported from the UK in 2013. Three years later, in November 2000, the Beghal family emigrated to Jalalabad in Afghanistan, where he allegedly trained with senior Al-Qaeda commanders. Apparently, he then decided to return to Europe - France in particular, to carry out an attack for Al-Qaeda against the West. However, Beghal was detained by the Emirati authorities in Dubai in 2001 while on his way to Morocco from Pakistan. After being interrogated, Beghal confessed to his involvement in a plot to blow up the US Embassy in Paris. He was a member of Jama'at al-Muslimin, popularly known as Takfir-wal-Hijra, an extreme and puritanical Islamist organization financed by Osama Bin Laden, before Bin Laden distanced himself from them for being too extreme. He was suspected by European intelligence agencies of being the Al-Qaeda point person to open a terror front in Europe, beginning with the planned attack on the US Embassy in Paris. Beghal also admitted that cells he had set up in Britain, Germany, France and Spain were planning attacks on US targets. Shortly after 9/11, authorities raided addresses linked to Beghal, uncovering a vast network of cells planning a series of attacks on prominent targets worldwide later in 2001, including on the US consulate in Marseille, and a plot to kill former US President George W. Bush and other G8 leaders by crashing a plane into the Genoa summit. One of the two brothers suspected of having massacred 12 people at the attack on the French satirical magazine Charlie Hebdo, French-Algerian Cherif Kouachi, met Beghal while he was in prison. Cherif was jailed in 2008 for arranging for jihadists to travel to Iraq. The two remained close, even after they were released from prison. French surveillance officers photographed them together in April 2010 playing football in Cantal, southern France, with two other convicted terrorists, Ahmed Laidouni, a jihadist recruiter, and Farid Melouk, the Telegraph reports. Authorities are now said to be investigating whether Beghal set up sleeper cells in the UK after he was released from prison in 2009. The two Kouachi brothers, Amedy Coulibaly, who killed four hostages in the Jewish supermarket siege in Paris, and Hayat Boumeddiene, Coulibaly's girlfriend, were connected to a large extremist network in Europe. Coulibaly and Boumeddiene visited Beghal in Cantal, southern France, in 2010 while he was under house arrest, according to Le Monde. Coulibaly was also reportedly friends with Cherif Kouachi and his brother, who he met at Fleury-Merogis prison, where Coulibaly converted to Islam. The Kouachi brothers and Coulibaly were part of the Buttes Chaumont network, which operated from the 9th arrondissement in Paris, Le Monde reported. The cell was run by Farid Benyettou, a radical preacher who called for jihad in Iraq and suicide bombings around the world. The three dead terrorists were also all on CIA, FBI and MI5 watch lists. On Friday, she revealed that prison guards had thrown her husband into solitary confinement in retaliation for his links to the Charlie Hebdo massacre. In a statement, she said: “Once again my husband is punished for something he didn't do. “He has been placed in solitary confinement after all the false media coverage. He has nothing to do with the attack against Charlie Hebdo. The Telegraph also reported that Beghal was excluded from the UK for national security reasons in 2009.